A commonly misunderstood emotionally-loaded word that is the subject of countless cringe-worthy facebook memes and speculation across the internet. But what really is a millennial? 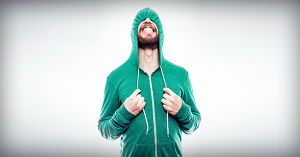 According to Pew Research(30), a Millennial is anyone born between the rears of 1981 and 1996. 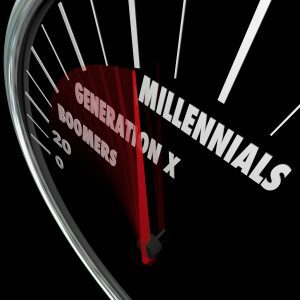 The preceding generation was called Generation X and the proceeding, from 1997 onward, has not yet officially been named, but is often referred to as “Generation Z” or “Post-Millenials”. Much of our research at The Summit Think Tank in 2015 and 2016 has been focusing on this emerging generation currently coming into power in the world. Millenials are the largest generation in history, with about 100 million living in the US and UK alone(24). In a few decades, they will represent ~40% of voters(24). Even now, if not for them, Barack Obama would not have won the nomination race of 2008(24) and the presidential race of 2012(25). Given the imminence of their rise to power and their current influence on every important issue including politics and culture, we want to help understand their strengths and their weaknesses as a generation and do what we can to assist them in any way for the responsibility that is on their shoulders. There is a wide range of perceptions about the inherent qualities and traits of this generation. However, we have endeavored to remove conjecture and analyze the abundant scientific research that we have found from 30 respected sources and present the unadulterated facts as best we can. Click on this link for more info on millennial empathy. Click on this link for more info on this millennial narcissism. Because the Millennial generation is made up of hundreds of millions of individuals worldwide, we acknowledge that all individuals differ to a greater or lesser extent from the given statistics. 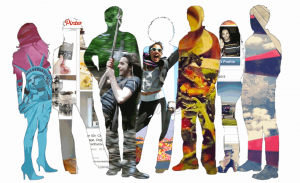 It is highly unlikely that any one person fits the “perfect statistical millennial” blueprint. However, research on the past of generations such as the Baby Boomers and Generation X accurately identified the trends and preferences of these generations, so we believe there is much accuracy to the conclusions we have made. Of note, one area where there could be a discrepancy in our findings is that although Millennials were found to demonstrate less empathy and higher narcissism than previous generations, a very high percentage of them will volunteer for causes they support. It is interesting that even though they are considered more self-absorbed, as a generation they have a greater desire to participate in bringing ‘change’ they feel strongly about, and will give of their time to make that change happen. In some cases, some surely want only to be perceived as humanitarians by their peers and are motivated by peer pressure and prestige more than genuine compassion. However, the research shows that the highest percentage of Millennials are in fact instinctively drawn to be part of the solution from sincerity rather than selfishness. 13. Twenge, J. 2014. 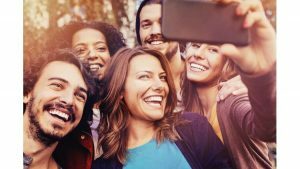 “Generation Me – Why Today’s Young Americans Are More Confident, Assertive, Entitled – and More Miserable Than Ever Before”. Atria Paperback. New York, USA. 29. Twenge, J.M., Konrath, S., Foster, J.D., Campbell, W. K., Bushman, B. J. 2008. “Egos inflating over time: A cross-temporal meta-analysis of the Narcissistic Personality Inventory”. Journal of Personality. 76, 875-901. 31. Geiger, Abigail. “About Six-in-Ten Americans Support Marijuana Legalization.” Pew Research, Pew Research Center, 5 Jan. 2018, www.pewresearch.org/fact-tank/2018/01/05/americans-support-marijuana-legalization/.